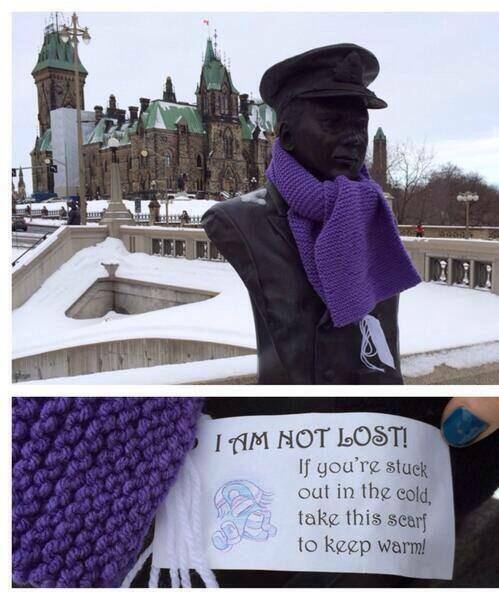 Subversive Knitters Are ‘Yarn Bombing’ Canadian Cities…And They Are Not Apologizing. Winter is officially here! Cold weather coupled with frigid wind chills make staying warm outside a challenge. There are some very good samaritans in Canada and around the world, for that matter, to ensure those in need do not have to suffer from the cold. The scarves were placed on trees, statues and fire hydrants. Such goodwill has also been found in Norway, North Carolina, and Pennsylvania. 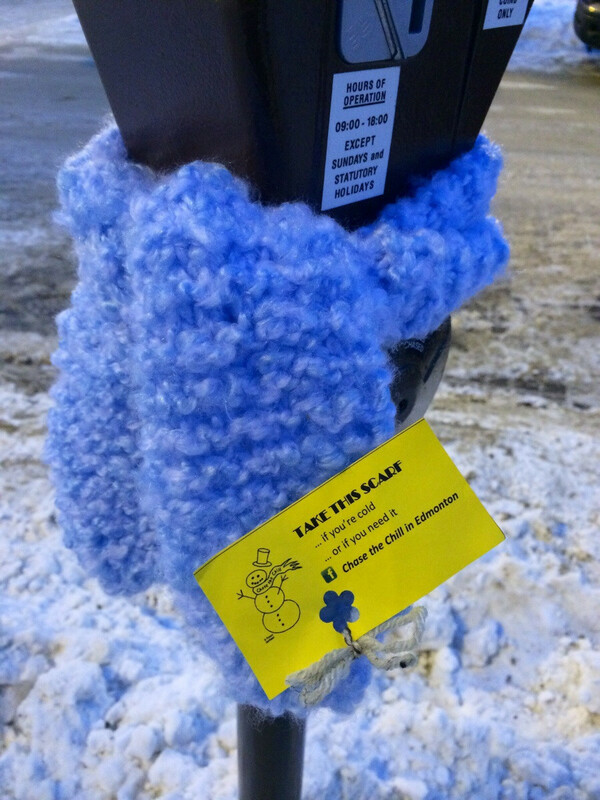 Although the tags do not have an individual name, some wraps come from the group Chase the Chill, a yarn bombing group that gets together to knit for those in need.